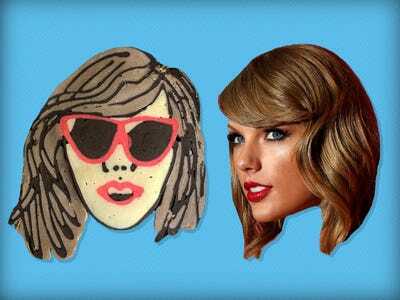 Brady Phelps/Getty Images/Tech InsiderTaylor Swift. Brady Phelps never claimed to be an artist. But his Instagram suggests otherwise. The self-named “pancake dad” has a knack for drawing cartoons, sports team logos, and incredibly lifelike portraits using only pancake batter. Recently, Phelps helped raise over $US38,000 for Charity: Water — a nonprofit aimed at bringing clean, safe drinking water to people in developing countries — by creating original flapjacks for anyone who donated $US100 or more to the campaign. He’s now going to continue until he raises $US50,000. And it all started from his inability to make a perfectly round pancake. Tech Insider caught up with Brady to learn the tricks of his morning masterpieces. Breakfast is quite the affair in the Phelps household. 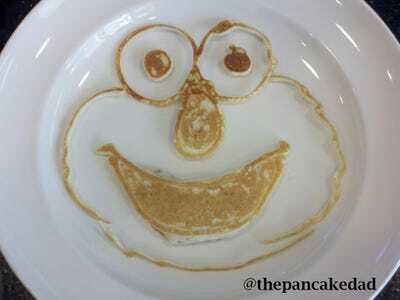 Every Saturday morning, Brady Phelps gets up and prepares stunning pancake art for his two kids. ... to the leader of the free world. Phelps showed off his pancake-making skills on FOX 5 San Diego. In an attempt to achieve the perfect shape, he found a ketchup bottle in the kitchen and filled it with pancake batter. The bottle's thin nozzle allowed Phelps to draw an outline before pouring batter onto the stove top. (Instagram) pancakes for my son's class... #pancakes #pancake #pancakeart #disney #frozen #baymax #starwars #batman #cinderella #dinosaur #panda #toystory #buzz #pickle! 'I accidentally left it on too long,' Phelps admits. When he flipped the flapjack, he saw that the outer rim was much darker in colour, because it cooked longer. The mishap sparked a little imagination. Here's Phelp's first pancake drawing. 'I hadn't figured out I could fill them in yet,' he says. 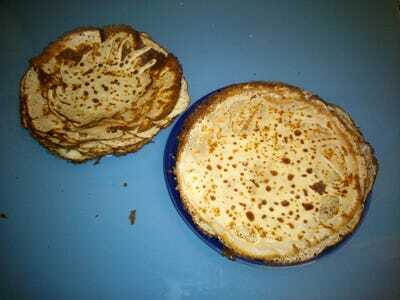 Soon after, Phelps discovered by layering batter at different times, he could create lines and patterns in the pancake. Food colouring and cocoa powder spiced up his creations. The designs became more intricate as he added smaller and smaller squeeze bottles to his collection of condiments. Photos of Phelps' pancakes were a hit among friends and family on Facebook. They constantly requested custom flapjacks. Earlier this fall, an idea struck Phelps: What if he used his pancake powers for good? He started a fundraising page through Charity: Water's September Campaign, an annual initiative aimed at supplying clean, safe drinking water to people in developing countries. (Instagram) The video of my @taylorswift pancake for @charitywater. Thank you so much for donating @caligirlkgore! If you'd like a custom pancake for clean water, please click the link in my profile! He can draw just about any sports team logo. (Instagram) Had no clue that my @charitywater Pancakes for Clean Water campaign would turn into a sports team logo battle. I love it. Want your team's logo made? Click the link in my profile! He was even commissioned to do donors' portraits, which carry more pressure. (Instagram) The pancake is the one on the left. Hilarious, I know. Thank you @oakgypsy for donating to @charitywater! If you'd like a Pancake for Clean Water, click the link in my profile! This engaged couple promised to include a photo of their pancake-portrait in the program at their wedding. But the requests haven't slowed down. Phelps goes through up to six pounds of Krusteaz buttermilk pancake mix in a week. Still, the challenge has been worth it. Phelps has raised more than $38,000 for Charity: Water -- enough to build three wells somewhere in the world. Back at home, Phelps' kids are over the moon about their dad's new hobby -- even though he still doesn't let them eat every single one of his pancake creations. Head over to Phelps' Instagram to see more of his mesmerising time-lapse videos.